Please Help Free This Innocent Navy SEAL Hero! Navy SEAL Chief Edward Gallagher is an American hero. 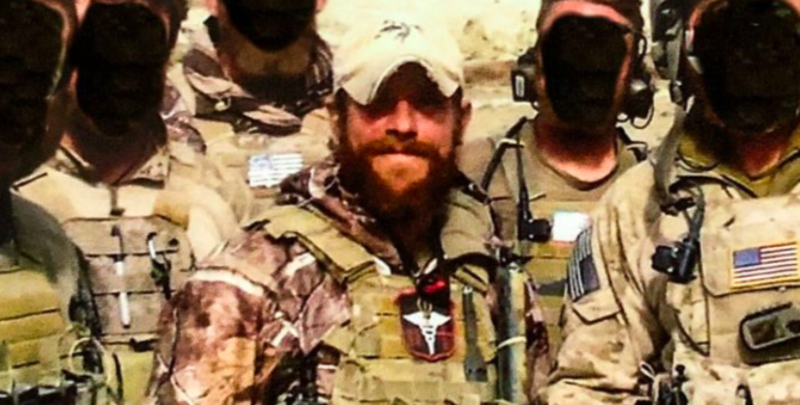 A two-time recipient of the Bronze Start (both times, for Valor), Gallagher today sits in the brig accused of killing an ISIS terrorist on the battlefield. The Navy claimed that Chief Gallagher "murdered" the terrorist and then posed next to the body for a photograph. Yesterday, a Navy Judge dismissed the photograph charge. Even though their only real evidence was just tossed, prosecutors are still planning to bring the rest of the charges to trial. Rep. Duncan Hunter is leading the charge to get this American hero released, but he needs your help before it's too late to save him! This hero answered the call to fight for you. In his time of need, I am asking you to fight for him! Today, he is sitting in the general population at San Diego's Naval Consolidated Brig Miramar awaiting trial. His crime? Navy prosecutors accuse Gallagher murdering an ISIS terrorist and then posing for a photograph next to the body. Yesterday, a Navy Judge threw out the photograph charges. The foundation of the prosecution's case -- the only real evidence they had -- was just tossed out. But the Navy is still moving ahead with the murder charges. It is absolutely shameful how Chief Gallagher has been treated. NCIS SWAT agents stormed his home early in the morning and dragged him out in handcuffs. His own children were forced out of their home at gunpoint and in their underwear. Representative Duncan Hunter recently met with Gallagher for 45 minutes and immediately after leaving the prison, Hunter began pushing for this American hero's release. The evidence against him is non-existent and Gallagher's treatment has been appalling. I am demanding that you join forces with Rep. Hunter and get this American hero released.